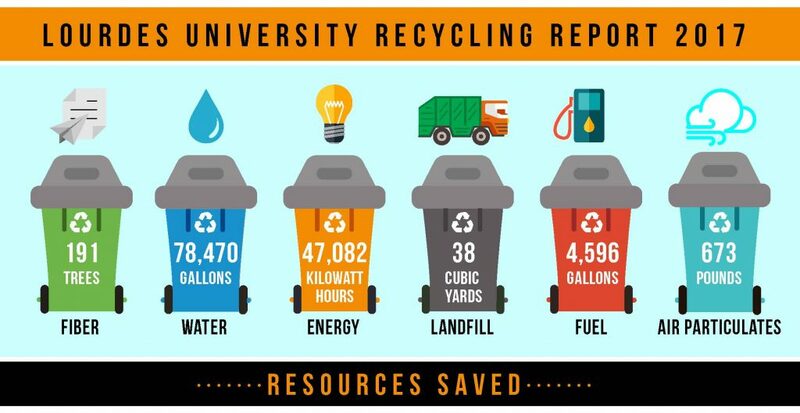 Lourdes University is pleased to provide the 2017 Recycling Report. Together, every member of the Lourdes University community is making a difference now and for future generations. 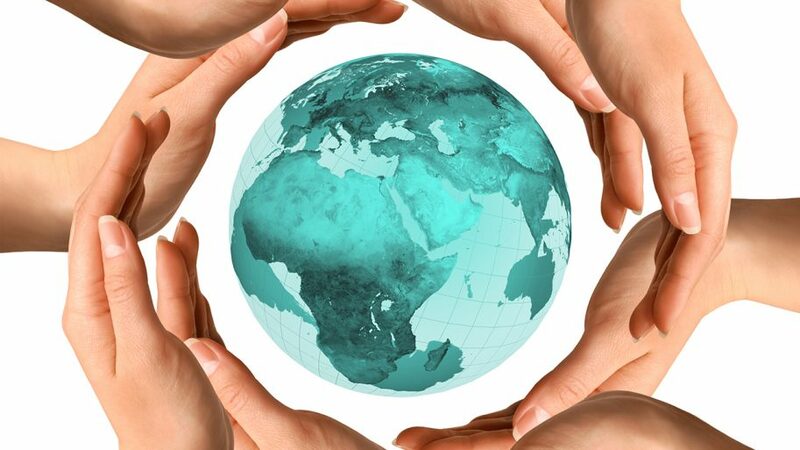 In the spirit of St. Francis, Lourdes is committed to preserving resources and protecting our environment. Plastic, glass, cans, paper, and electronic devices can be collected on our campus for recycling—look for the recycling bins located throughout the campus. Please follow the guidelines below. For questions, contact Becky Alvarado at ralvarado@lourdes.edu. Paper – Students: Use the paper recycling bins located throughout campus. The recycling bins for ink cartridges and toners are located in the REH Faculty/Staff Conference room, St. Francis Hall, St. Clare Hall and Umbria mailroom. This bin can also be used for old cell phones, iPods, mp3 players, etc. Students may turn in their devices and spent batteries at the Welcome Center.